ensure human right to sight. OPC empowers Francophone Africans through sustainable access to sight. 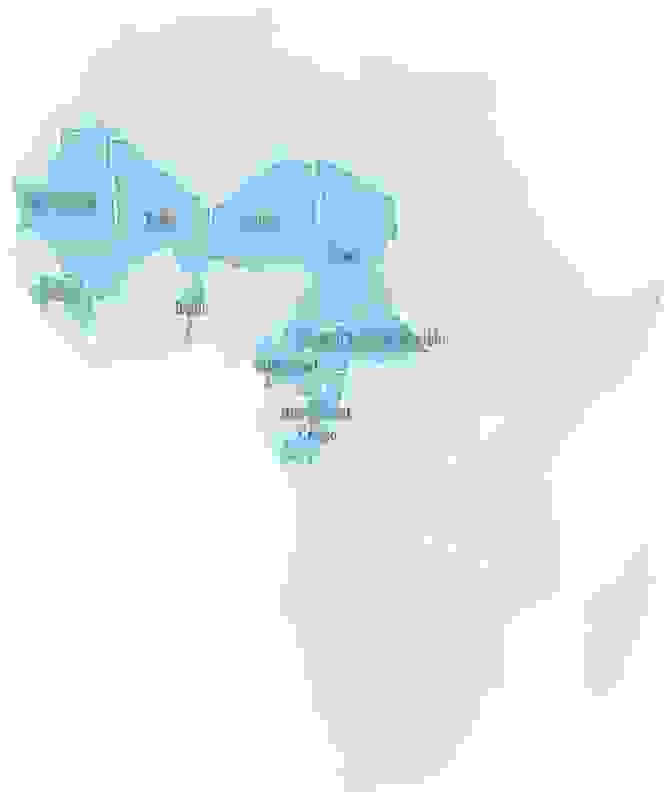 Francophone Africa is frequently overlooked by international development stakeholders. OPC works with local governments, civil society organizations and communities to encourage local ownership of eye health care systems and ensure their human right to sight. 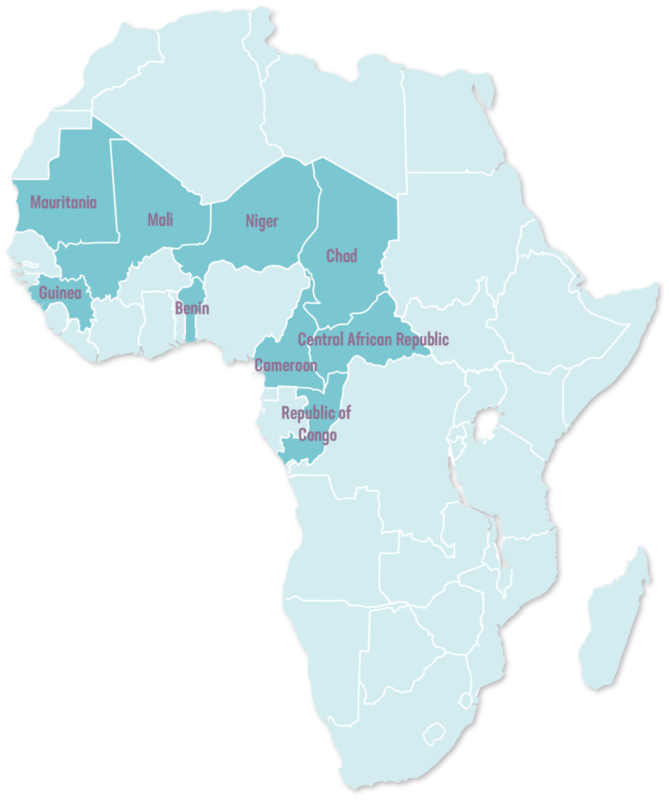 Francophone Africa receives far less foreign aid funding for health initiatives compared to Anglophone Africa. For example, Benin receives 5 times less support for health than Kenya and 15 times less than Namibia. My name is Idriss Gebal Ali. I am 60 years old and live in the village of Am Tchioko (Ouaddaï region, eastern Chad). I got the first symptoms of trachoma on my left eye four years ago. More precisely, I had watery, itching and rubbing eyes.I have been informed at the local market by a community relay that an outreach of trichiasis surgery was being implemented. The relay brought me to the health center. Then, I’ve been operated in April 2017. I did not suffer from any complication or recurrence after the operation.My brother have been also operated on his right eye. He also got good outcomes after the surgery. Nevertheless, my wife has still an ocular problem : I will bring her to the health center in order to treat her. My name is Abou Kadri Ahmat. I am 45 and coming from the village of Am Sinene (5 km far from Am Timan, southern Chad), where I grow crops. It has been more than 5 years that my both eyes are painful, crying and reddish, and it’s worst for my right eye. In my family, nobody has the same problem. This disease stops me to work properly on the field. The health agents told me that I was suffering from trachomatous trichiasis, that’s why they offerd me to get my both eyes operated. As they assured me that the pain will disappear, I accepted the surgery. My name is Acil Tom. I am 30 and also little brother of Haroun and Habibé. I got this disease years ago. At the beginning I was thinking of a family curse, as everybody had this disease and as we would have become blind. We couldn’t work as much as when we were young (without symptoms of trachoma).As we live in a very remote village, which is far from any health center, a medical team came to operate us and we are very happy about that. Now, I know that trachoma is a curable disease and I want to thank the team that gave a new chance in life by enabling our family to get back to the field and get our crops. My name is Habibé Tom and I am the little sister of Hassan. Before being operated, I was suffering from tearing every day and all day long. My eyes were tickling and, because of this disease, I was ashamed to stay with my friends. We were not understanding what was happening to us, as we live in the same plot. We have tried a traditionnal treatment but in vain. Now I am happy as I feel cured. I thank the team that came to operate us in our village. My name is Halimé Brahim, I am 38 and member of this family. The surgeons have operated my two eyes. Before that, I was thinking that there was no hope for me and that I will become blind. So I was hopeless. Since last week, you can see my whole family smiling again. I thank everybody that took part in the process making it possible. My name is Halimé Abdelkerim and I am 37, from Haloua (Guera region, southern Chad). I felt my eyes tickling 7 years ago. After thes first symptoms, it was difficult for me to prepare the boule (millet-based paste) for my children and my husband. At the beginning, I was afraid to get operated so I was not sure to do it. But as my husband was planning to do so, he advised me to do it as well. Since last week, I am again able to realize the domestic duties, such as sorting millet or groundnuts . I am happy again! My name is Haroun Tom. I am 40 and I have been operated from the right eye last week. I have suffering during 10 years as I was feeling a tingling which was quite inconvenient. I didn’t know that a treatment exists to get rid of this disease. Until last year, I was hindered annoyed to do my field activities and during the day-to-day life.Since I have been operated, my sight is good and I feel a huge relief, like the rest of my family. Indeed, five of us had trachoma. The whole family have been operated on the same day: my wife (Halimé Abdelkerim), my little brother (Acil Tom), my little sister (Habibé Tom) and my cousin (Halimé Brahim). My name is Karim Daouro, I am 55 and living in N’Djamena. I am currently in Bitkine (center of Chad) in order to implement trachoma prevalence surveys (TT Only survey).As an investigator, my mission is to know the scale of the trichiasis trachomatous in areas where the survey is implemented. It’s an important thing, because trachoma is a blinding disease to be eliminated by the year 2020.I began the surveys since 2013, after being validated with a test. So I am now an investigator of the Global Trachoma Mapping Project (GTMP).I believe that this activity occurs at the right time, as we noticed many people have already lost their sight. 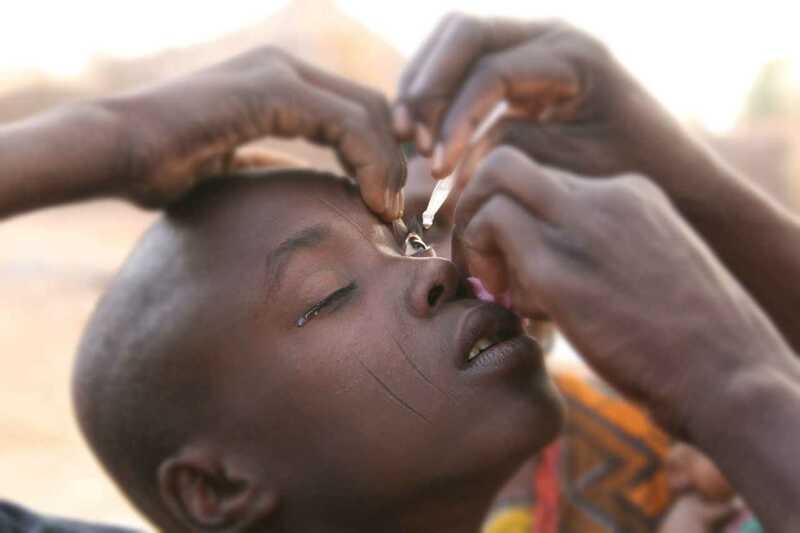 As trachoma is an avoidable blinding disease, we have to find strategies in order to prevent and control this disease. I think we are on the right path and I’m hopeful for the future. I am Nadjerom Konaye, 32 and student. I live in N’Djamena, but I am currently in Foulounga (Sahelian zone in Chad) for the Global Trachoma Mapping Project.After my studies, the National Program to combat Blindness invited me in 2014 to follow a training to become Data Entry Clerk. I passed the test and then the first survey began in Mayo Kebbi-Est (South west of Chad). 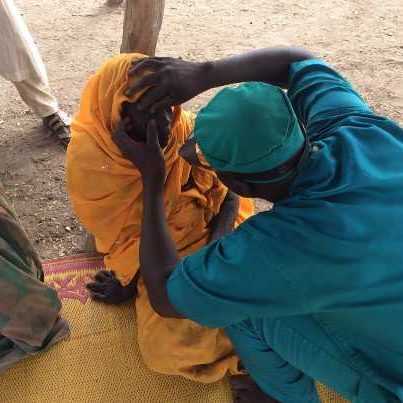 Afterwards, I participated in the Global Trachoma Mapping Project for the northern regions of Borkou, Ennedi and Tibesti, and finally in Moyen-Chari (not far from N’Djamena).I am now quite specialized in this activity, as I did another survey in October 2016 in Salamat, and as I am currently doing a TT Only survey in the districts of Aboudeia and Haraze.It’s an honour for me to be a member of this team of investigators. All these surveys will enable me to know the scale and prevalence of trachoma in order to prevent and combat this disease. Of every dollar we spend, 95 cents goes to preserving and restoring eyesight of the world’s most vulnerable people.